Otis Blackwell and Elvis Presley never met, but their respective talents intersected at a crucial time in the history of popular music. After an unsuccessful recording career in the early 1950s, Blackwell found his calling as a songwriter. At the same time, Presley’s unique set of singing and performing skills were catching fire with the country’s teenagers. However, Elvis depended on young rhythm and blues composers to provide the particular kind of music needed to continue fueling his exploding career. In 1956 it was Otis Blackwell who provided much of that fuel. “Otis wrote in a style that came to define a new synthesis that Elvis was groping for,” noted Presley biographer Peter Guralnick. The Songwriters Hall of Fame profile of Blackwell notes that his songs, “helped to launch the Presley legend to the heights of the stratosphere (and then some), and it’s certainly equally accurate to say that these initial successes with Presley quickly secured Blackwell’s place in the Who’s Who of American pop songwriters.” Their timely connection in 1956 was a breakthrough for both of them. 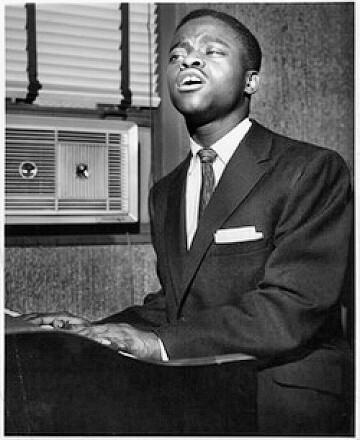 His breakout tune was “Fever,” co-written with Eddie Cooley in 1955. In a 1971 Presley radio documentary, Blackwell recalled how the song first got recorded. Little Willie John’s recording of “Fever” was an R&B hit in 1956. It was Peggy Lee’s sultry pop version, however, that Presley mimicked when he recorded “Fever” for his “Elvis Is Back” LP in 1960. 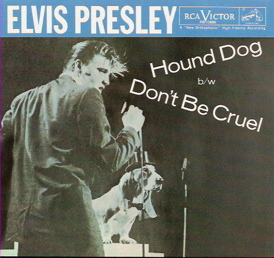 And so it happened that Blackwell’s “Don’t Be Cruel” was among a stack of demos RCA executive Steve Sholes presented to Elvis at a New York recording session of July 2, 1956. “From the first moment Elvis heard ‘Don’t Be Cruel,” he just snapped on it,” said Guralnick. 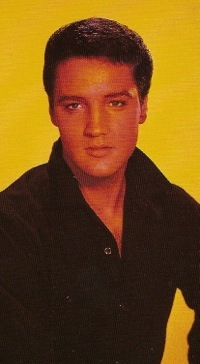 “It was a perfect song for him.” Backed with “Hound Dog,” it became the biggest two-sided single hit record of Elvis’s career. On its own, “Don’t Be Cruel” spent 7 weeks at #1 on Billboard’s “Top 100” pop chart in 1956. 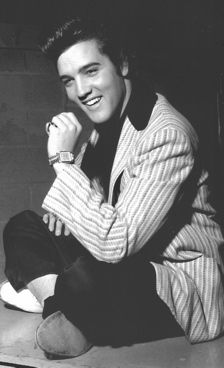 After the success of “Don’t Be Cruel,” Blackwell was asked to write more songs for Elvis. RCA set up a Hollywood session in September 1956 to record material for Presley’s second RCA album and a new single. Otis’s contribution, “Paralyzed,” seemed like a good candidate for the rhythm side of the single, but it became a cut on the LP, when “Too Much” was selected for single release instead. Blackwell explained, “The story I got was that because of the word ‘paralyzed’ a lot of organizations got down on the thing, so they wouldn’t release it as a single.” Still, as a cut on an extended 45 album, “Paralyzed” charted on the “Top 100” for 7 weeks in early 1957. 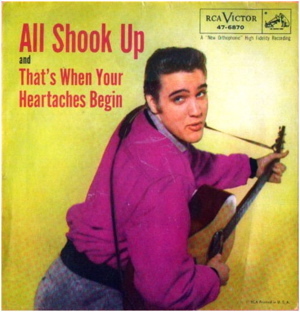 Elvis recorded “All Shook Up” in RCA’s Hollywood studios on January 12, 1957. 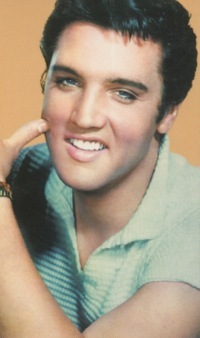 Later that year it became Presley biggest chart record ever, spending 30 weeks in the “Top 100,” including 8 weeks at #1. 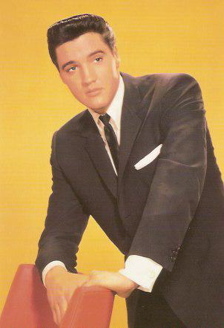 Although Presley’s induction into the army in 1958 suspended their collaboration for two years, Blackwell continued to have success writing hit records for other artists. Most notably, he wrote “Great Balls of Fire” and “Breathless” for Jerry Lee Lewis. He also wrote “Just Keep It Up” and “Hey Little Girl” for Dee Clark and “Handy Man” for Jimmy Jones. 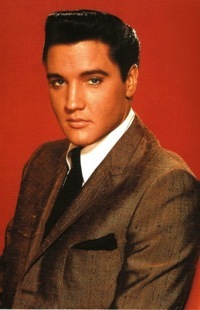 After Elvis returned to civilian life in 1960, Blackwell was included among a group of songwriters who were invited to submit songs for possible use on Presley records and movie soundtracks. The first song Elvis recorded during his first post-army recording session was Blackwell’s “Make Me Know It,” which, along with “Fever,” appeared on Presley’s “Elvis Is Back” LP. It was two years later, though, before Presley recorded another Blackwell song. By then Otis had teamed up with the most well known of his many writing partners. “I’ve done a lot of stuff by myself, but I enjoy writing with other people too,” he explained in the 1971 Presley radio documentary. 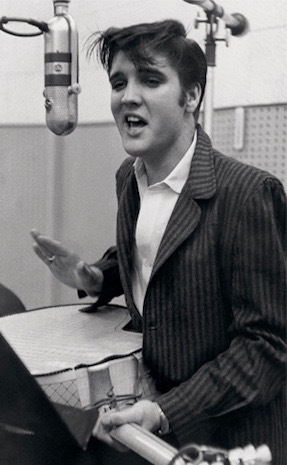 “So I teamed up with this other guy—Robey is his name—his name is Winfield Scott, but we call him Robey.” Together they submitted “(Such An) Easy Question,” which Elvis recorded for his 1962 studio album, “Pot Luck.” In 1965, when the song was reissued as a single, it reached #11 on Billboard’s “Hot 100” chart. The Blackwell-Scott team got their biggest hit later in 1962 when they submitted some material for Elvis’s Paramount musical, Girls! Girls! Girls! In a 1984 interview published in Elvis: The Man and His Music in 1991, Blackwell explained how “Return to Sender” got into the soundtrack. 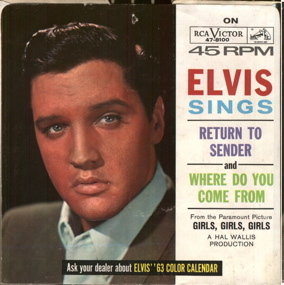 Of course, released as a single in 1962, “Return to Sender” became one of Elvis’s most recognizable songs. It spent 16 weeks in the “Hot 100,” including 10 weeks in the top 10 and 5 weeks at #2. Blackwell and Scott also penned Presley’s next single. 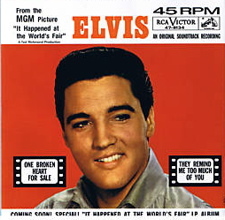 “One Broken Heart For Sale” was used in the soundtrack of “It Happened At the World’s Fair” and was Elvis’s first single release in 1963. In the late seventies, Blackwell recorded an album of his own hit music and went out on tour. In 1987 he sang “Don’t Be Cruel” during an appearance on The David Letterman Show. In 1990 he moved to Nashville to be near the recording industry. He suffered a debilitating stroke the next year, and died of a heart attack in 2002 at the age of 70. He is interred in Nashville’s Memorial Park Cemetery. 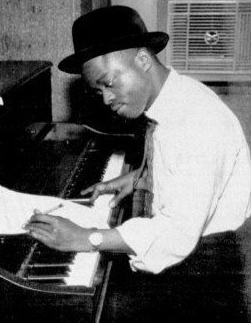 Otis Blackwell wrote over 1,000 songs. He has been inducted into the Nashville Songwriters Hall of Fame (1986), the National Academy of Popular Music’s Songwriters Hall of Fame (1991), and the Rock and Roll Hall of Fame (2010). I have to agree with Otis on this one. Elvis’s recording of Blackwell and Scott’s “I’m a Roustabout,” first released on the Presley compilation “Second to None” in 2003, is considerably better than the song selected for the Roustabout title track in 1964. "Otis helped to launch the Presley legend to the heights of the stratosphere, and it’s certainly equally accurate to say that these initial successes with Presley quickly secured Blackwell’s place in the Who’s Who of American pop songwriters."